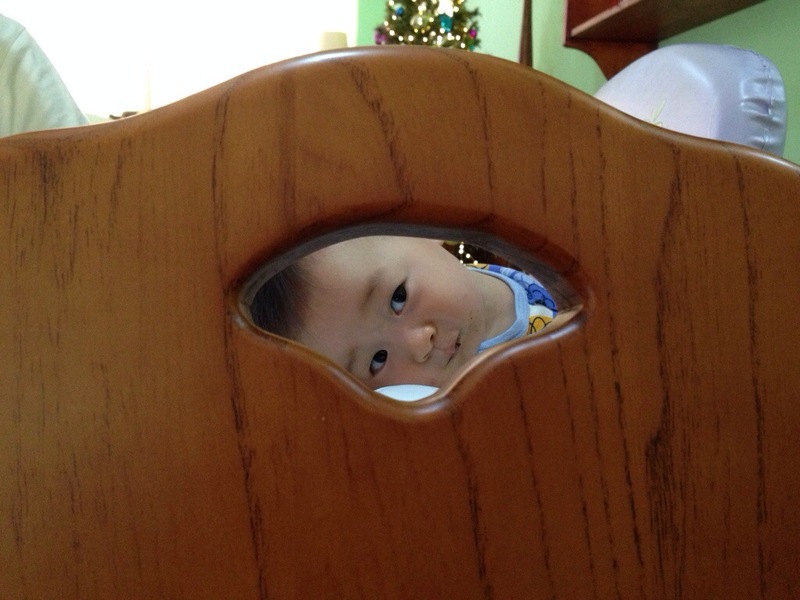 The cheeky boy plonked his head on the tray of his high chair and peeked at me through the hole in my dining chair. 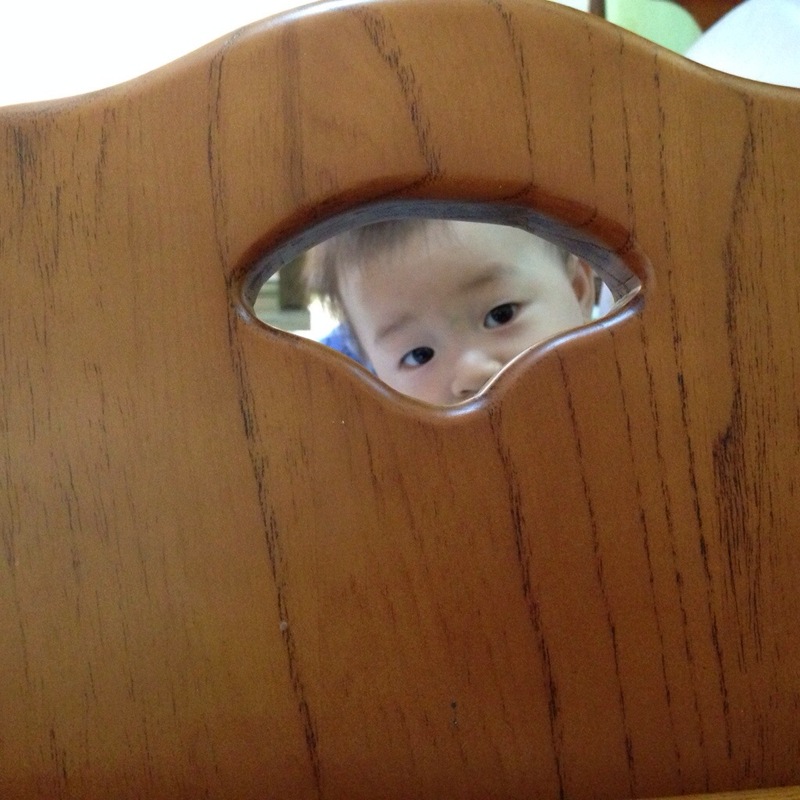 Now you see me…!! Hey! It’s me again!! 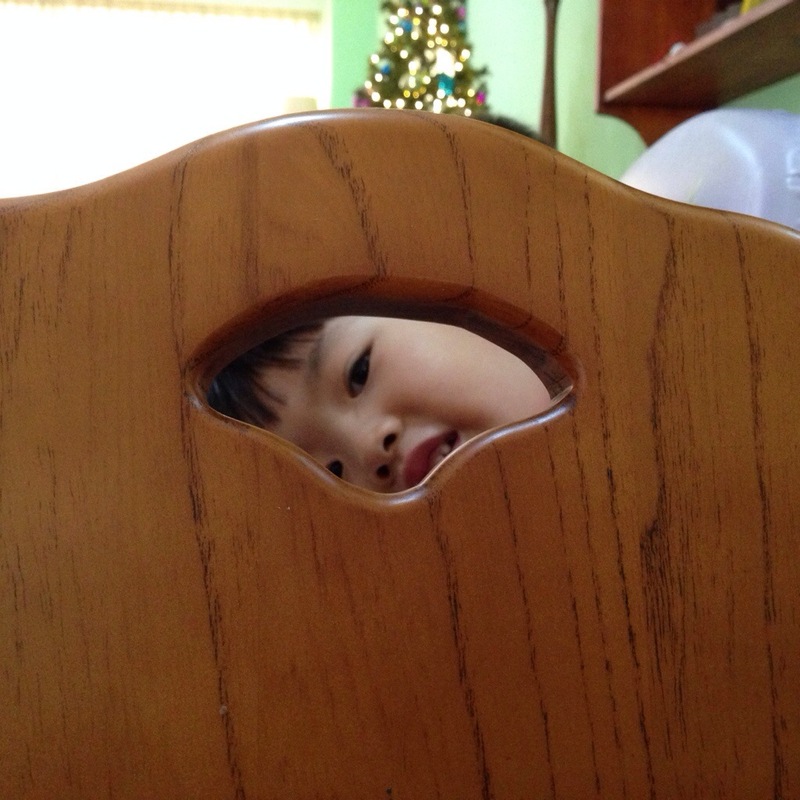 *giggle* peek-a-boo! !